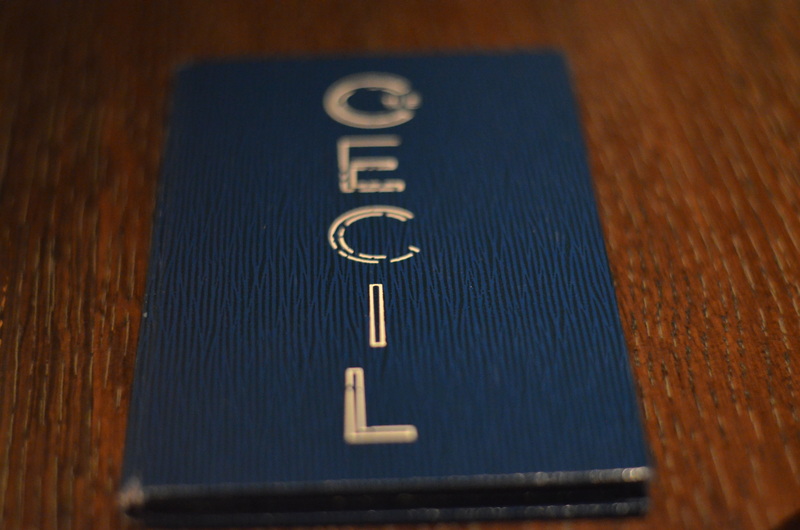 The Cecil is a ground-level restaurant in Harlem. Esquire named it the best new restaurant of 2014, and although I am not informed enough to agree or disagree, the experience is certainly a culinary departure from convention. There is a distinctly African theme to the menu, one that invokes a broad diaspora of African cooking, from curries, piri piri, and za’atar, to okra, plantains, and guinea hen. 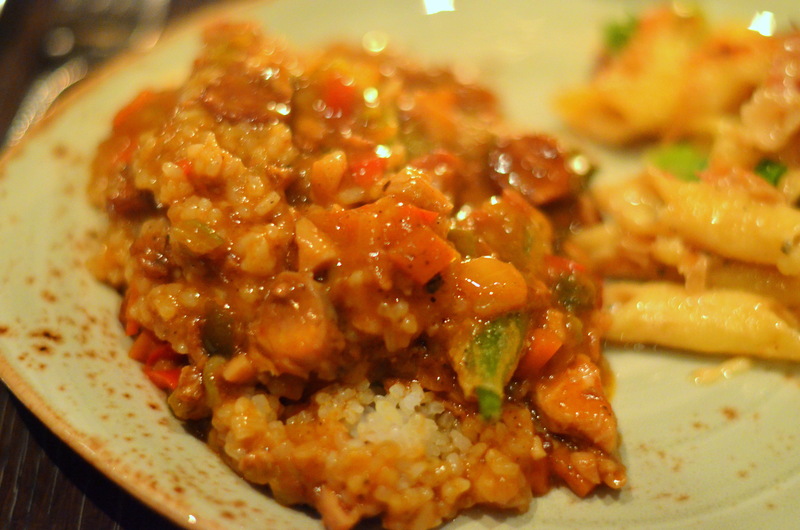 But there’s also a really interesting (and in-your-face) Asian subtext, with wok-fried dishes, dumplings, Japanese eggplant and shiitake mushrooms, sticky rice, and udon. 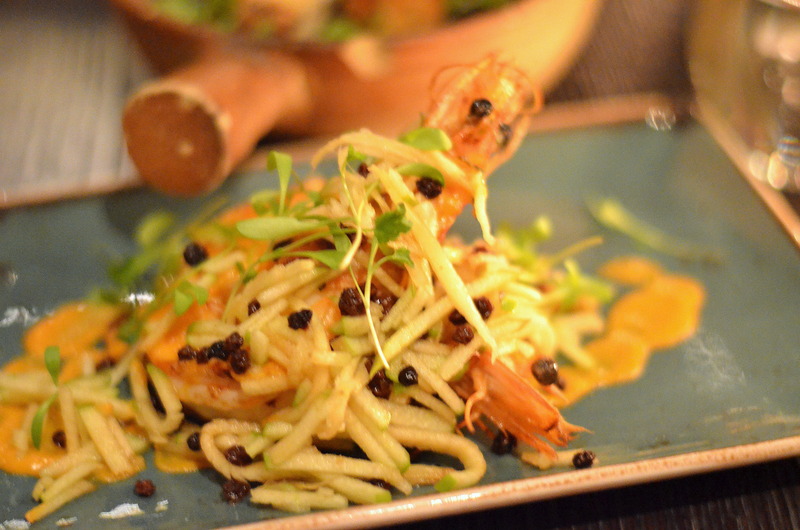 It’s a bizarro world of inflections and influences, but somehow most of the dishes come together with gusto and zest and creativity and heartiness and no shortage of strong flavors. The restaurant is also way too cool for me, as I discovered when I walked in the first time, with a backpack and no fedora, no clue what jazz was playing on the sound system, no pedigree in any tertiary education that ends in “studies.” It’s emblematic of the neighborhood, sure, but it’s also a destination now, so there is a pretty wide spectrum of people. It’s a testament to the potency of good, interesting food, rooted (conceptually) at least in the history of the neighborhood (I speak in broad strokes because I am not at all an expert in the genealogy of the area), but certainly in the way that it brings people together over a common table, the boisterous dining room a united voice. Just one way to look at it, anyway. 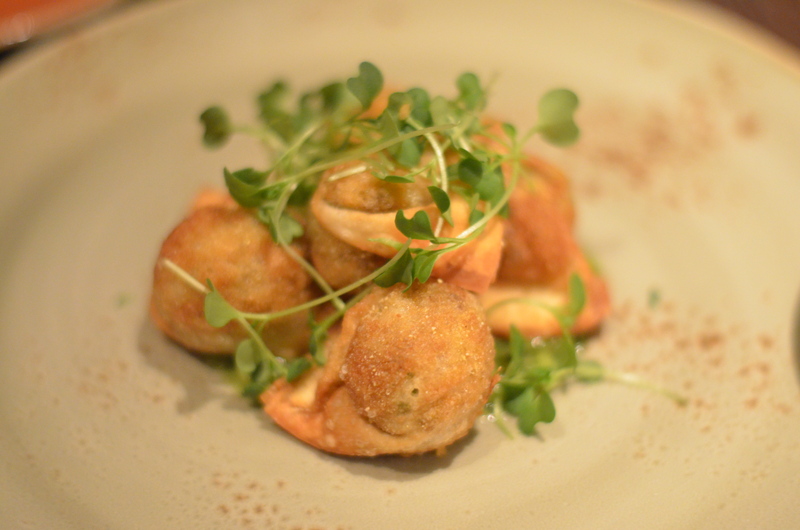 Crispy fried Portuguese sausage dumplings. 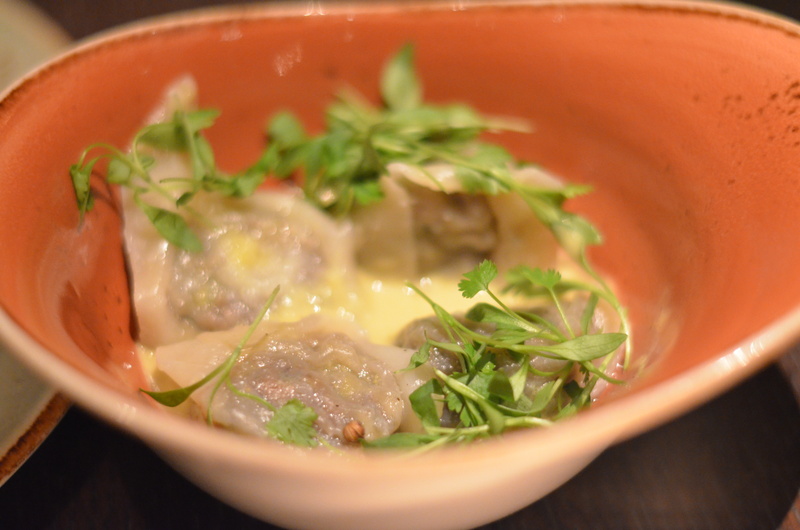 Oxtail dumplings with green apple curry sauce that tasted like a tart, curry-infused butter. Crispy prawns with piri piri sauce. Macaroni & cheese casserole with garganelli, caramelized shallots, fresh scallions (which were a great, subtle touch), and smoky pepper ham. 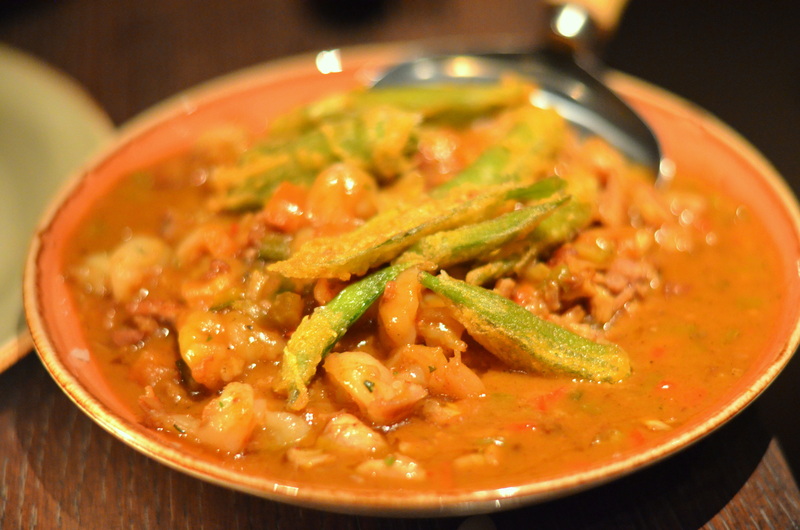 Afro/Asian/American gumbo, with smoked chicken, fried okra, sausage, and shrimp. 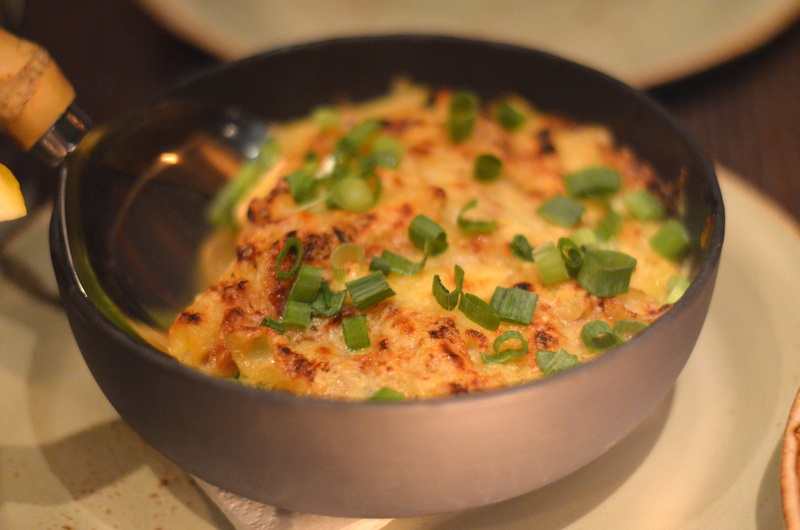 Spicy, with a touch of sweet, and a good amount of texture to balance out the thick, luscious roux. 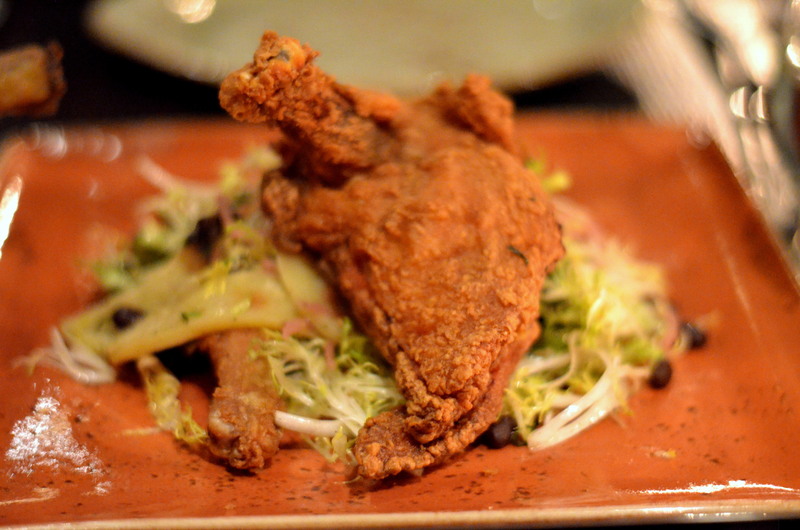 Fried guinea hen, with cinnamon. 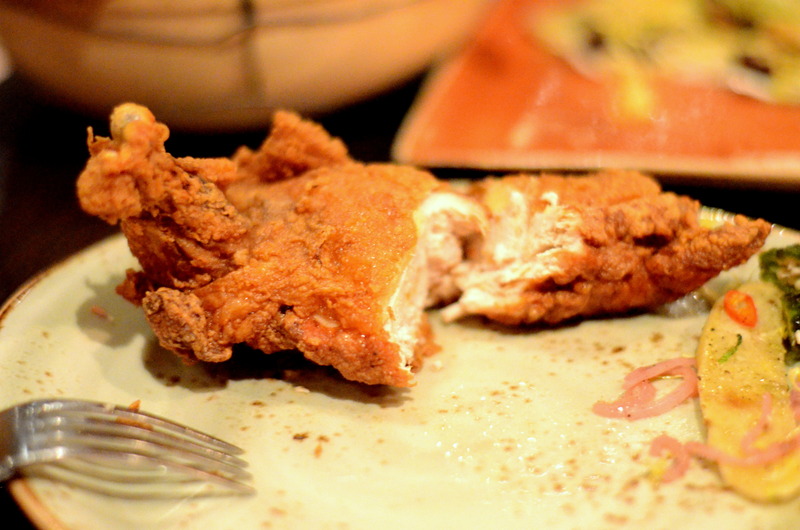 A bit chewier than the best brined chickens I’ve come across – frankly, as much as I like fried anything, I’m not quite sure how I feel about this. It was good, but not phenomenal. 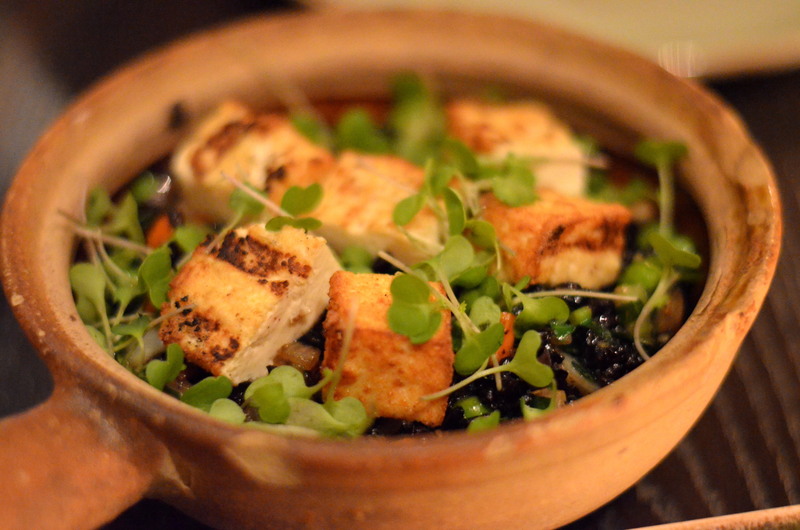 The Cecil also has a wok bar menu item that allows you to customize a stir-fried dish of various grains (we chose pineapple black fried rice) with a protein (smoked tofu), with veggies. 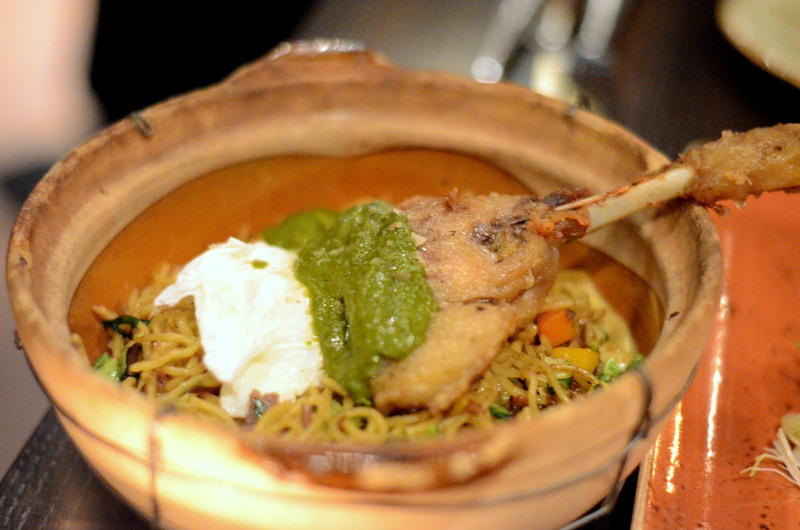 We also got a confit’d leg of duck atop a bowl of wok-fried lo mein, like a Hong Kong-cafeteria dish crossed with a patient French-Indian grandmother’s secret recipe. That it comes from a singular chef’s mind/kitchen is pretty neat. 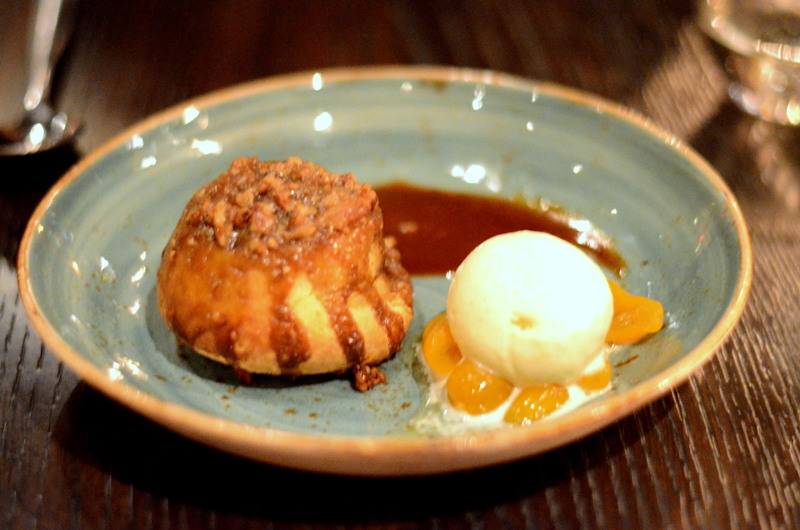 Oh, and the pecan sticky bun, my goodness.